To secure his new 60,000-sq.-ft. bakery, Buddy Valastro called on Interlogix to help design an IP video surveillance system that was scalable, reliable and easy to access and use. 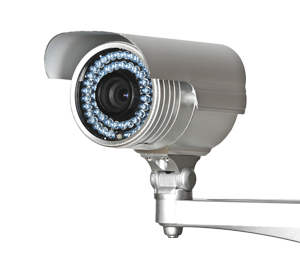 See how we utilized our best IP cameras, recorders and IFS switches to deliver a comprehensive solution. Ideal for small retail stores, medical offices, gas stations and residential applications, TruVision® Video Kits provide a complete, cost-effective surveillance solution that’s easy to install and use. For analog or IP applications, kits are available in 4- or 8-channel recorder configurations and include four TruVision cameras that deliver exceptional image quality. Lenel’s proven OnGuard® software platform now supports TruVision DVRs and NVRs for a comprehensive video solution. Designed around open standards, OnGuard integrates seamlessly with third-party security products to offer more flexibility while enabling cost-effective system migration and protection of legacy investments. With an open platform providing a flexible migration path to IP, TruVision Navigator 5 represents the ideal VMS. It’s not only easy to install and use, but also offers greater scalability to accommodate future growth. Plus, when used with the new TruVision Software Video Recorder (SVR), only a one-time licensing fee is required. Amarillo National Bank’s 13-branch system needed an updated video surveillance solution that improved security while also providing efficient central management. Get a closer look at how Interlogix IP megapixel cameras, DVRs, network switches and software delivered comprehensive security right from the start. The TruVision mobile app allows users to access and monitor their facility’s surveillance from anywhere in the world.